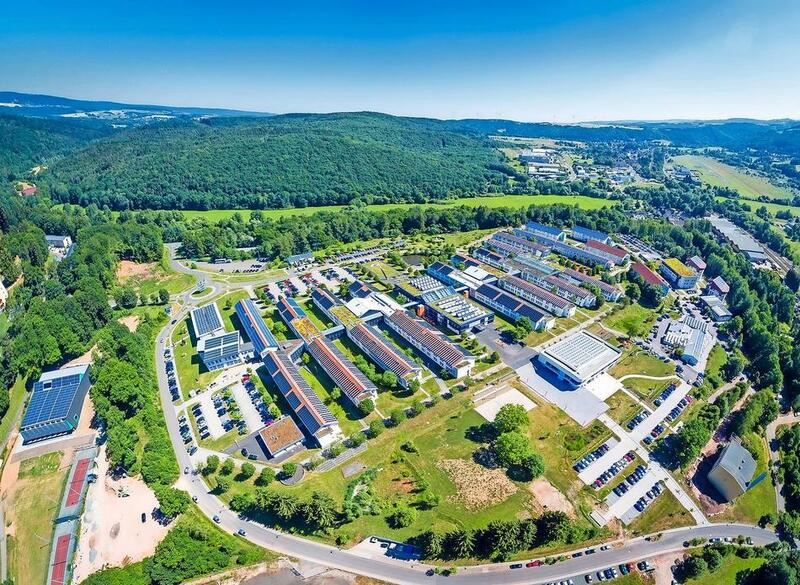 Environmental Campus Birkenfeld [ECB] is an award-winning green campus dedicated to environmental science, engineering, law, and research. ECB is ranked Germany’s #1 and world’s #6 green campus by UI Green Metric. At ECB green technologies and strategies serve a practical purpose; achieving Zero Emission. Among other things, ECB’s electrical and heating/cooling energy demand is entirely met by carbon-neutral renewable energy sources contributing to its ZE status. It’s a living laboratory and one unique place on Earth. Come visit us, experience and explore the wonder! Address above and GPS coordinates may be used. The map on the right side gives you the motorway directions.